I know, guys. I know. I last posted at the end of April. Lame. 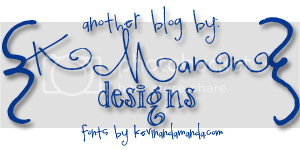 Still trying to find a good way to get myself to blog regularly. The 1000 Words series worked for a while, hopefully I've drummed up something else that might work, might be more personal, might be easier/more fun to write, might make you more aware of what I have going on day in/day out around here. Although I really have failed entirely as a blogger, it doesn't mean I have failed as a blog reader. Oh no. I'm all over those babies. Maybe that's why I don't blog often, because I read so many good ones I don't feel I can keep up. Who knows. But I need to share something with you. For a few years now I have followed a blogger called Jamie, The Very Worst Missionary. You may have heard of her, you may not. The title itself should already indicate something. 1. She's a missionary (win). 2. She's self-deprecating (win). 3. She uses superlatives (WIN). So obviously I was a fan before even reading what she had to say. Now, I would stop short of saying I recommend you read her blog. Although I do enjoy her writing and learn much from what she's contributed to the interwebs, her style might not float your boat. She uses some colorful language that I know might be too distracting or disconcerting for some of you to appreciate her perspective on God, missions, church, etc. And that's perfectly understandable, and to be honest, it distracts me a little, too. What she has to say about God, missions, church, etc., is good. It's refreshing, it's honest, it's courageous, and it's firsthand perspective of what it's really like to be a missionary. I only remember one thing she wrote one time that I did not agree with, and it was that papaya tastes like feet. I disagreed with that. But what she wrote about the damage many short-term mission trips can do to a long-term mission? Gold. The series should be required reading for all short-term mission trip leaders. She started a conversation online that so needed to be had. So why am I returning from a months-long blogging silence to blog about another blog? Because I found a video today of an interview with Jamie, VWM (as she refers to herself). I youtubed her because I was curious what she looked/sounded like, and what I found made me weep. This is an interview with JamieVWM about her experiences and missions in general. It's really good, and I've posted it below if you care about that sort of thing and have 15 minutes to spare. All of her answers about missions in general I would answer the same way...and often have when I'm asked about the same subjects. There's one part that is especially beautiful that I hope all of my readers watch. The interviewer asks her how churches can support their missionaries better. I would like to point out here that I love both of my supporting churches deeply. I feel their love, support, and encouragement and am so, so blessed that God brought us together. So I'm not posting this video as an indirect criticism of my personal experience. I'm posting it because, as she points out, there's a lot more to the missionary-church relationship than overly positive newsletters and general questions met with general answers. I appreciate her call for all of us, regardless of the side we're on, to do better. Because we're all on the same team. The whole interview is posted below, and the question I mentioned is asked at the 11:18 mark. If you want to only watch that question, you can also click here and it will take you right to that spot.